I am sure most of you have heard the term social networking. 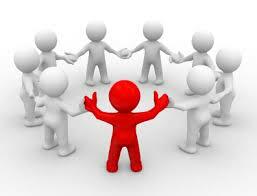 Social networking is the gathering of individuals into specific groups of like minded individuals. It’s a lot like a neighborhood, only the streets are search engines and the homes are websites. With the advances of computer use and the internet, social networking has gotten very popular. This is a good thing if used effectively. If not used effectively, you have 1000 friends and no new business. When it comes to social networking, joining websites – social sites – is a plus. Some you join you need to apply – others you are a member with a click of a button. One of the huge benefits for using the internet to meet clients is that you are brought to a large group of people immediately that share your same particular interest. I’d like to give you a few pieces of advice about joining social networks. 1. Present yourself as a professional. This means a professional headshot of you, not you hanging your head over the boat’s edge with a beer and a goofy grin. 3. Post blogs, articles, statements and responses that establish you as the expert in your field. This is your place to shine about what you know without sticking #1 on your forehead. This is show and tell…all about you. I am Sandra Beck and I have 20 years managment experience and a Master’s in Advertising from Northwestern Univeristy vs. Sandra Beck educated professional. 4. Keep personal stories or beliefs out of your professional online sources that many not serve your or your clientele. Politics and Religion, just like at the dinner table should be left off your professional online sources. 5. Respect the privacy of your family. Unless they like to be exploited in pictures and embarrassing stories – of which I am sure they don’t – or your specific business revolves around families and children keep the family stuff private. 6. Once in the social networking site, join groups and participate. Just like at a party, you won’t meet anyone hanging on the wall – get out there – post comments, chat it up, offer opinions and advice. 7. Be respectful that not everyone is as passionate, knowledgeable or eloquent as you are – so be clear, be brief – make your writings understandable – the point is to communicate, not alienate. Getting yourself set up online is confusing. Which sites do you choose to belong to? Where are the best places to be found? How do I set up my online profiles. These are all great questions and I plan to answer them all in future offerings. There are many services out there that offer Social Networking Packages like those offered at Motherhood Incorporated (www.motherhoodincorporated.com). They are affordable and they help you be positioned around the web so you can be found by clients, reporters and people who seek your expert advice. Many companies, like Motherhood Incorporated (www.motherhoodincorporated.com), also offer International Social Networking Packages if you are planning to sell or promote a product or idea in a more international marketplace. Social networking if thought of and used as a business tool can help market your product, company and idea if done in a clear, concise manner. It can establish you as an expert. It can bring you clients, boost your business and make you money. So go at it – the Internet is waiting for you to make your mark!